So in a bid so keep up my skincare routine (which I am doing! Yay!) I decided to check the face masks from Body Shop. If I ever get face masks, I always get the single pack type ones from Superdrug or Boots, but I decided to spurge a little more and went for a body shop one! I also decided to get a pot of 'mask' so that I could use it a few times! 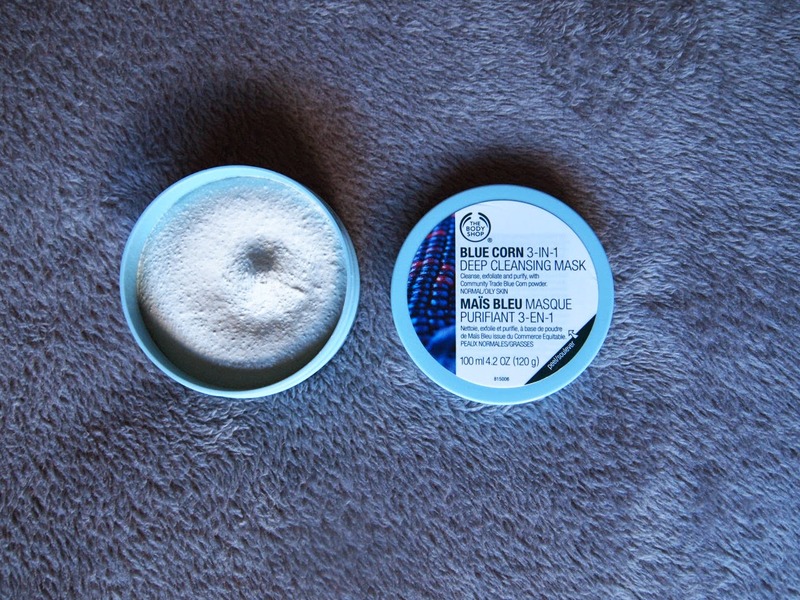 I bought the Blue Corn 3-in-1 deep cleansing mask and I found getting a better brand was lot better for my skin and when putting it on my skin seemed a lot nicer quality. 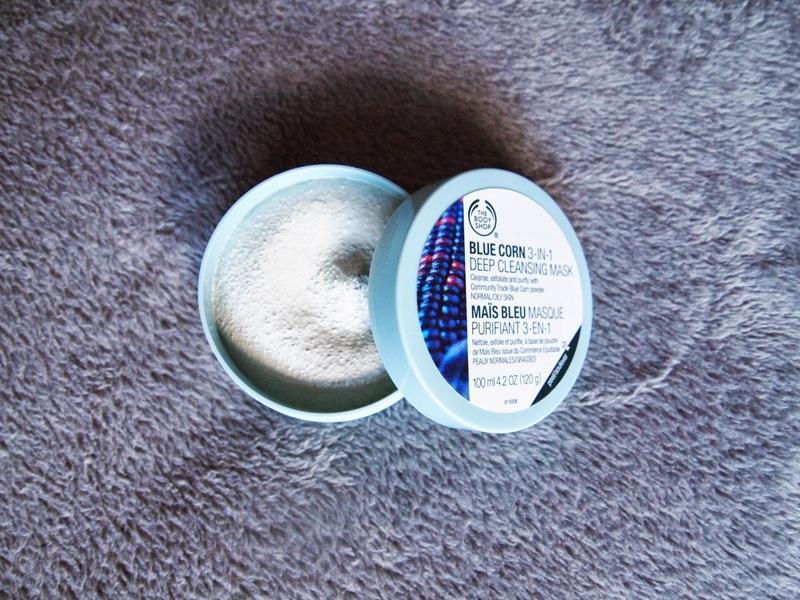 With Kaolin Clay in the ingredients, it helped to moisturise my skin and bring out all the bad oils and I also liked the fact that it had a kind of scrub feel to it, so it felt like my skin was really well cleansed and fresh. 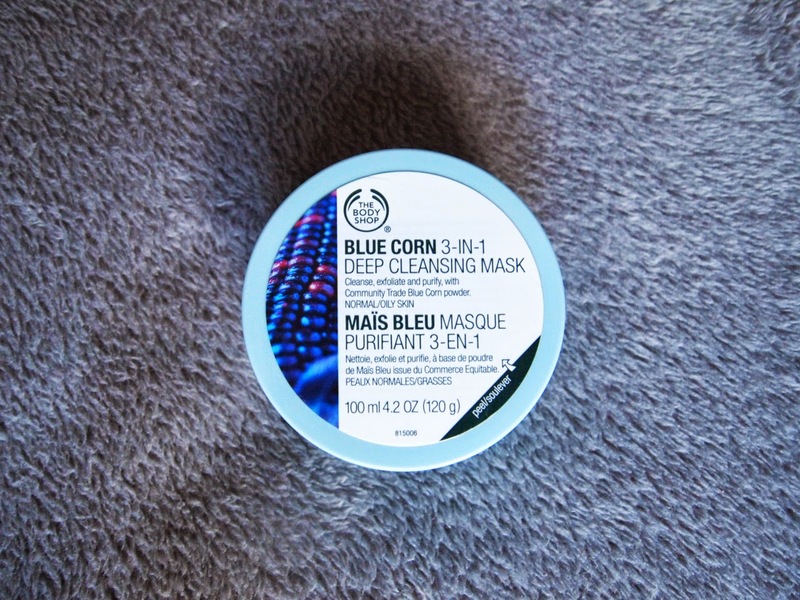 There are a few different types of masks, all that do different things for different skin types and they are currently on 3 for 2 aaaaand if you have o2 priority moments there is also 40% off in Body Shop! Seems amazing, I have to try it. Great review!